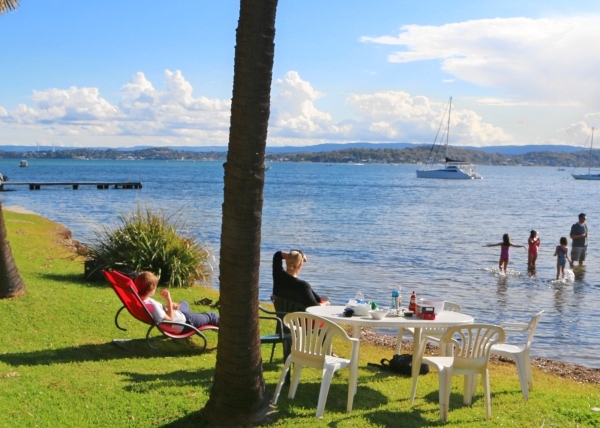 Ideally located between Belmont and Swansea, the lakeside suburbs of Pelican and Marks Point feature superb lake views and lakeside amenities, including the Pelican Foreshore Reserve which is one of Lake Macquarie City’s best picnic spots, with plenty of trees, a boat ramp, BBQs, tables and amenities. Enjoy a meal at Pelican RSL or head to Lake Macquarie Airport, with joy flights, skydiving and helicopter flights all offering a truly unique perspective of Lake Macquarie. If a game of golf is more your style, have a round or two at Belmont Golf Club at Marks Point. Blacksmiths Beach and the Swansea Channel are only a 3 minute drive away and don’t miss visiting Granny's Pool at Blacksmiths and taking the scenic walking trail out onto the Breakwater. The views and outlook will amaze you. Marks Point is named after Charles Marks, an early settler who bought the land at the Point 1885. With his brother, Henry, they built an orchard on the peninsular and grew oranges and pineapples. In the 1920's there were still Chinese Market Gardens near the present Marks Point School. Charles lived on at Marks Point until he died. The nearby suburb of Pelican was known as Pelican Flats until 1991 and was named after the large numbers of pelicans that still congregate along the Lake foreshores.